A customer brought his brand new Lexus RC-F to us with a minor problem. He had been to a wheel shop previously to purchase some new wheels for his ride and left with a bad taste in his mouth. He was not satisfied with the product he had received, or with the fitment of the wheel on the vehicle. 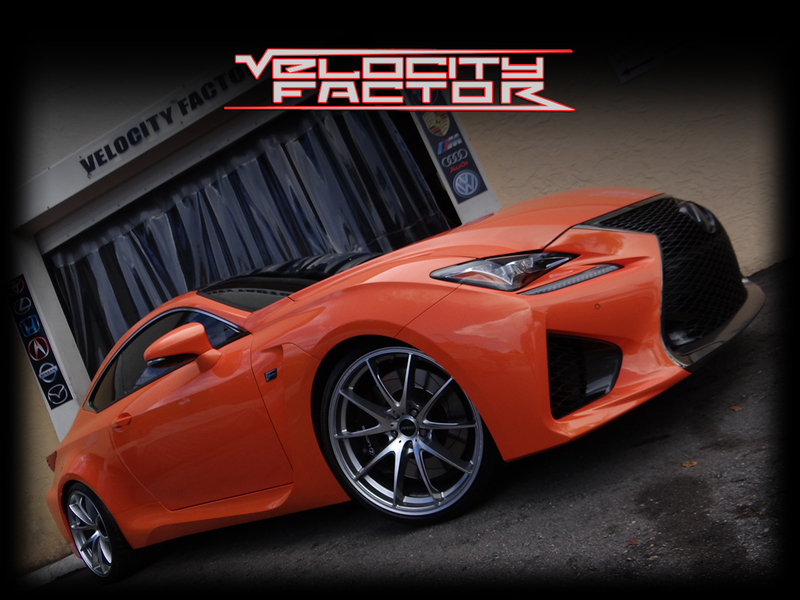 He came to Velocity Factor for some other work and we gave him a few different options for wheels that are made for the RC-F that he was interested in. We ended up taking in his wheels on trade towards a new set of RAYS G25 Edge. These are gorgeous forged wheels that are top of the line, and were made specifically to fit the new Lexus RC-F. Check out the wheels below. These wheels fit PERFECT!!! No wheels spacers required, no tire rub, nothing. RAYS makes a super high quality wheel and they look killer on this ride! To achieve the perfect look we lowered this ride with RS-R springs. The springs lower it just enough to get rid of the ugly wheel gap, while allowing the customer to drive normally and not have his tires rub. We are more than pleased with how this ride looks. The wheels we put on are absolutely gorgeous, while not being too loud. This is a classy ride and the wheels play right into the styling of the vehicle. 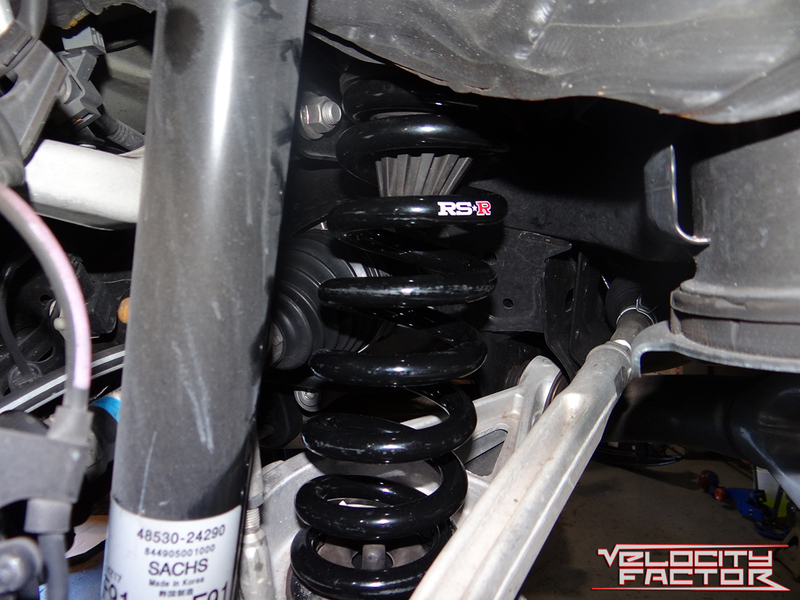 Check out how dramatic the difference is between a stock RC-F and the end result. If you have any questions about anything you see here or anywhere else on the blog feel free to give us a call or stop by the shop! We can be reached at (561)395-5700 or you can just stop by, we are located at 980 N Dixie Highway in Boca Raton FL. Our hours of operation are Monday through Friday 10 A.M. until 6:30 P.M. and Saturday 12 P.M. until 4:30 P.M.
Lexus IS-F Back For Some Nitrous! Lexus IS-F Gets Tein Springs, Rays Wheels, Caliper Paint, and More!